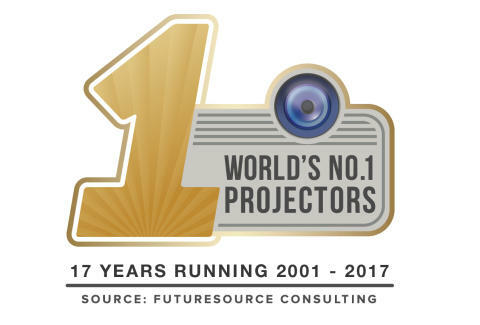 Epson has been named the number one projector brand in Southeast Asia as well as worldwide by Futuresource Consulting, having held the leadership position for 17 consecutive years. The milestone reflects Epson’s continued market leadership and constant innovation in the visual imaging industry. The latest findings from Futuresource indicate that within Southeast Asia, Epson continues to maintain market leadership, with market share for projectors 500 lumens and above increasing to 36 per cent in 2017 from 34 per cent in 2016. Epson’s worldwide market share for projectors have increased consistently over the last 17 years to maintain its continued dominance. Epson has the largest market share for projectors 500-lumen and above worldwide, at 36.4 per cent for 2017, which is an increase from 35.5 per cent in 2016. Likewise for the home projectors segment, Epson has achieved the largest market share for projectors 500-lumen and above worldwide at 42.2 per cent for 2017, an increase from 39.1 per cent in 2016. With its new spotlight projector for the retail and hospitality sector, Epson continues to innovate in its projector offerings for its range of business, interactive and high brightness projectors, catering across segments from corporates, to education and rentals and staging venues. The Epson EB-1450Ui and EB-1460Ui interactive projectors enabled participants at the conference to pen down ideas and interact with content in whole new ways.